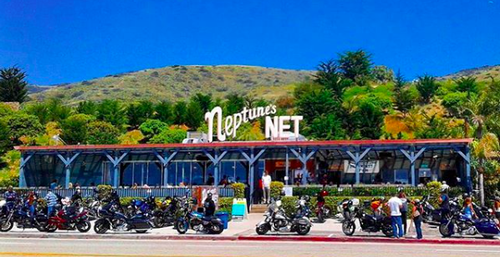 Welcome to the official website for Neptune's Net Seafood Restaurant - as seen on Point Break, Fast and Furious, and Iron Man 3. The historic and world famous location has been churning out food, beer, and good times since 1956. 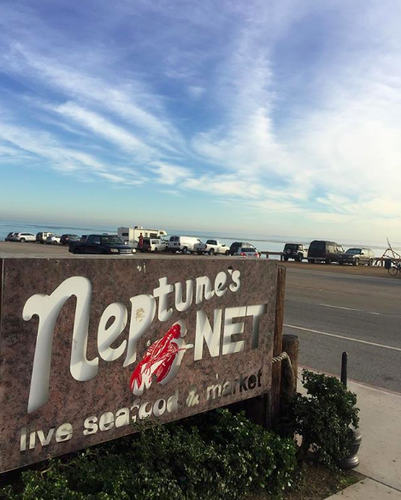 Neptune's Net is open 7 days a week, 364 days a year (closed on Thanksgiving). We allow physical support service animals only. We do not take reservations - we have first come - first serve seating. Follow us on instagram and twitter @neptunesnet and facebook.com/neptunesnetseafood. Purchase official Neptune's Net gear by visiting our online store. Please reach us at info@neptunesnet.com for filming and reservation requests. For private events and filming requests, please contact info@neptunesnet.com.